Anastasia: It is actually very difficult for a modern person, who has gotten tangled up in the works of the human mind (in the host of existing religions, their concepts, and dogmas) to understand the spiritual essence, that meaning, and the true reason for which he exists in this world. The simple Truth became complicated, and because of this, the essence became incomprehensible. Of course, a variety of tools is available to almost any person today: there are spiritual practices, prayers, meditation techniques, and so on. The ultimate goal is clear – it is spiritual liberation. But this common foundation, the essence, thanks to which this higher spiritual state is achieved, has been lost. After all, tools themselves don’t give an understanding of the fundamental principle. It lies in the consciousness and the deepest feelings of the Master who works on himself with the help of these tools. Could you tell people about the elementary Truth: what is the purpose of human’s spiritual development? Rigden: The purpose of human’s spiritual development is in his qualitative inner change. This implies, first of all, not just recovery of the inner spiritual dialogue with God in each day lived through your deepest feelings, through your sincere love for Him, but also living by this mystery. Human, in reality, is drawn to such pure inner dialogue with God. This innermost need is most manifested in him in childhood when the memory of incarnations is still fresh. He feels this deep sensual contact through his Soul, which can manifest outwardly in the form of sincere child’s joy and the all-embracing, pure love for everything and everyone. That is why it is believed that children are closer to God than adults. After all, the new Personality is still pure and is connected to the Soul by its sincerity and faith, and the latter harbours hope of salvation towards the new Personality. That is why, from that point on, it seems to a person for the most part of his life that the best is yet to come. In fact, in the minutes of manifestation of his “sincere happiness”, the little person is experiencing the deepest feelings of coming in contact with his spiritual nature, attention, love, and care of God for his Soul, even in such difficult for it conditions as confinement in the body. Over time, the new Personality starts to perceive and know the surrounding world, and this conversation through feelings is transferred to the communication with the closest people – mother, father, and relatives. The first external visual images are fixed in consciousness, thanks to experiencing at this time the deepest feelings of sincere Love coming from God. The latter is connected solely with the inner world of a human, with this wordless, true conversation with God in His Love. That is why we have the warmest memories of childhood, for example, of the mother as of the almighty, the loved being, for whom nothing is impossible in this world. But as adults, we look at her already through different eyes: as an adult woman with her own fate. When the body begins to mature and the new Personality begins to make the choice in favour of the Animal nature more often, person, through folly, loses this invisible sensual dialogue with God. Although the Soul itself does not stop “knocking” at the person, giving him its signals. In the person’s life, circumstances arise, which, in one way or another, urge him to return to this Soul- soothing dialogue with God. But the person, guided by thoughts from the Animal nature, refuses to listen and to be heard by his Spiritual nature, which is the Soul conducting God’s Love. At that point, the Animal nature substitutes itself for this live communication. The Personality, observing its thoughts, can clearly trace this process in itself if it wishes. This process begins when the person, when distracted by thoughts from the Animal nature, or, as they said in the ancient times, “by the ashes”, loses the Dialogue with the One Who is Eternal, the One Who is most dear and near to him. At this moment, the person starts feeling inner loneliness. As a consequence of this, he starts making a substitution, looking for external communication with those who, like he himself, are temporal here and consist of dust. Or, completely succumbing to the thoughts of his Animal nature, he begins to talk “to himself.” But this communication is completely different from the spiritual Dialogue with God. Feelings of sincerity and spiritual purity leave him, while feelings of resentment, pride, jealousy, and self-interest appear. These are the most radical substitutions from the Animal nature when it dominates consciousness. They take place because one ceases to understand himself and his spiritual nature, which makes up the true meaning of his life. His earthly selfhood distorts the understanding of the power of the deepest desire of the Soul to become free and independent of matter, to escape from its captivity. A person no longer understands his real feelings. He locks himself away from everyone in his selfish fortress. He begins to try on the image masks offered by the Animal nature. In such a state, he mentally addresses not God but himself. He actually begins to listen to and talk only to himself, or rather, to his Animal nature, which substitutes the eternal Truth with a temporal illusion, turning the person into its conductor. Such a dialogue with himself turns into a dialogue of a mortal human, which makes him spiteful and dependant on many material needs. He no longer lives by God, he is no longer free, he finds pleasure and the meaning of his miserable existence in matter (devoting his life time and attention to accumulating it), in bringing others under his control and inflicting suffering upon them. At that, the essence of this substitution is that the person himself does not notice this; it seems to him that he is doing everything right; and this way, “in his opinion”, will be better for others. But abiding in the dialogue of a mortal person, he finds no happiness and continues to sway in his material desires like a pendulum. Time passes, and an understanding comes that all this is vanity of vanities. He recalls that at one time in his childhood he had sincere joy, pure love, and confidence, which gave him a sensation of incredible inner freedom. And now there is no sincerity, no purity, and no faith – everything is lost, and each day brings only sorrow to his Soul. But God’s Love does not leave man even when he forgets about it. God never leaves a human, for His Love, thanks to the Soul, is always with him. However, a human does not always want to accept this eternal Love and often puts off the sacred learning of it until “later”, guided by momentary, temporary desires of mortal matter. But man does not have this “later”, there is only “here and now”, in which true movement and choice take place. One only needs to open up and trust in God. There is no point in wasting the precious time of life. As soon as the Animal nature begins an attack that stimulates the feeling of loneliness, one simply must immediately overcome this earthly selfhood and, with the sincerity of a child, address God, relying on His Will. Address as you can, with your sincere words, thoughts, and, most importantly, with the inner, deepest feeling like for the nearest and dearest Being. When the person begins to talk to his Soul with a feeling of deep repentance, the Love of God multiplies in him manifold. God comes into the Soul and gives it peace. It becomes a source of inexhaustible inner power for the person. It revives in him the spirit of faith, provides an opportunity to understand the experience gained and get a new perspective on his life. The person acquires the gift of insight: he abides in Love, for he abides in God and God in him. He has something to say to God and he has the power of sincerity and faith needed to feel His spiritual answer. And this dialogue of the two beings who love each other is infinite. For God is communication in Love. Man realises that abiding in this communion, spiritualisation and unity with God is the real, true life. This mystery happens in each of us when we accept it and open up before God in our sincere feelings. But if the person relies on his selfhood, he himself closes the Gate of his Soul and feels forever lonely, regardless of how many friends or relatives surround him. But if the Gate of the Soul is open for communion with God, a person is never alone, for he is always in conversation with Him. When he resumes this inner communication with God, a sound understanding comes to him that his perception of life is limited and that he sees only a part of it. God is the only one who sees the life of a human in its fullness. An understanding comes that even the greatest suffering is that circumstance which actually takes him to the path of communication with God and a renewal of the lost spiritual connections. For God sees man’s temptations and his potential for inner spiritual changes. That is why God gives such circumstances, thanks to which the person gains experience and an understanding of his choice, an opportunity to restore communication with Him, which ultimately contributes to the fusion of the Personality with the Soul and escape into the spiritual world. But the choice is always up to a human what to live with – mortal pride or eternal grace. Spiritual practices help a person perfect this Dialogue with God at the deep level of feelings, where purity of intentions reigns. 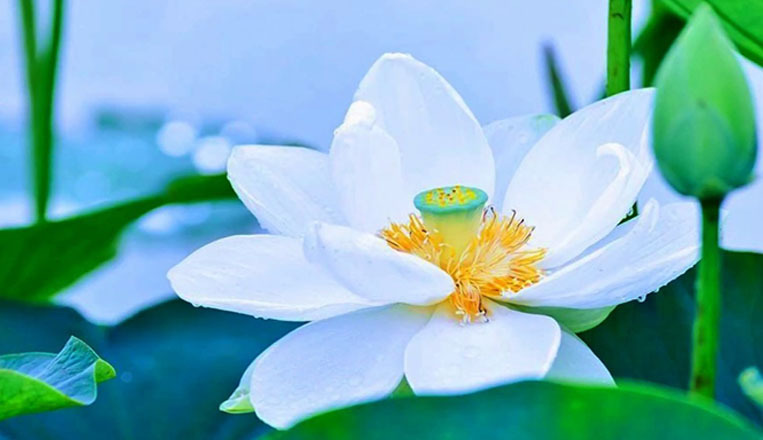 They act as guides that create conditions for the Personality to connect with the Soul, enrich the inner world, and acquire Knowledge, power, and the purity of feelings emanating from the spiritual world. Spiritual practices are the tools with which the person starts to understand an entirely different world and to realise his very close relationship to it. They accompany the Personality from the first tentative step of cognition to the complete transition to the spiritual world, from the desire to change oneself to understanding the necessity of abiding in God constantly. This is a way of life. This is the way to Eternity. This is like a breath of fresh air, water, light, and spiritual warmth, this is the joy of repentance and the happiness of abiding in God’s Love. The person who begins to work on himself and to learn spiritual practices often gives up doing them, becomes discouraged, reluctant and lazy to do them, inventing excuses for oneself and different distractions from the Dialogue with God. But when such a state appears, you should stop and think who is it that does not let you talk to God? Who creates mental barriers and illusory obstacles in your consciousness? Who makes you think that the matters of this temporal, instantaneous world are more significant than the most important thing in your life – spiritual salvation in Eternity? Who does not want you to walk the spiritual path? There is one answer – the Animal nature. This is why when its clear opposition is manifested in the form of laziness, unwillingness, and excuses, you should double your efforts and begin to work on yourself spiritually. On the contrary, it is necessary to increase the time of meditations, dive deeper into feelings no matter what, knock at the spiritual world more persistently and restore your salvational sincere Dialogue with God. You must do spiritual practices at least twice a day and during the day preserve the connection with your inner world, with the Soul, with the sense of God’s presence. Then it will be not just a way of life – it will become that spiritual path which with every step will be bringing you into Eternity. When the person lives in God, he has no inner discord, no conflict with himself. He no longer has the desire for individual requests, which are full of fear and worries of the material world, because he understands that the essence of their origin is from his earthly selfhood. He no longer tries to understand with the mind where God is at work and where not, for he starts to feel and Know all this. And this knowledge comes not from the mind but from the deepest feelings of the Soul. After all, man believes with the mind but Knows with the Soul. He begins to focus his inner life only on the Soul, for through it, he cognises God and the infinite spiritual world, which is his real home. Man acquires oneness with his own Soul. There is no more space left in him for bad things because he begins to live in God’s world, a sense of peace from contact with Him. And such communication takes place constantly. There is no longer anything other than God in man’s inner life, and the Soul stands pure before Him. This communion is a mystery of the two. Man feels the presence of God and loves Him, reaches out for Him like a loving person for the loved Being to whom he craves to be forever near and to communicate with Him infinitely. Over time, the person gets a real understanding of the fact that not only is God constantly present in him but that He is present everywhere, in the entire surrounding world. Man realises that God is everything to everyone. So, the one who has started the dialogue with God soon changes himself, acquiring a different understanding and a different view of the world. But most importantly, the Personality during its life, thanks to such independent communication with God, begins to abide in His spiritual world, acquiring that state of fusion with the Soul, which in various religions is called differently – holiness, Nirvana, the supreme connection with God, and so on. This state is that true freedom, that true existence, to which man aspires his entire life.